Cabins 11 and 12 are parkmodels. These units sleep 4 to 6 people with 1 bedroom, 2 twin in a loft and a full futon in the living room…. Full kitchen, bath/shower, cable TV’s, air conditioning/heat , electric fireplace, pillows and linen included. 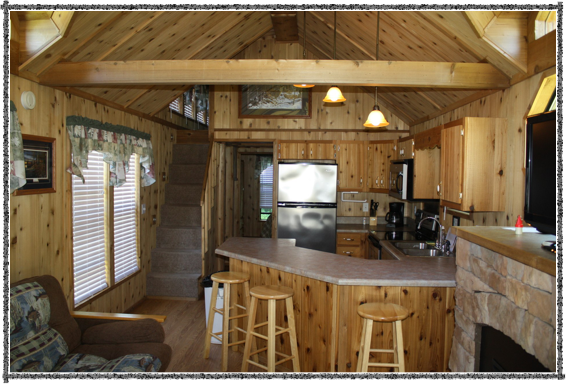 Both lake view park model rentals offer 12’ X 16’ screened in porches for bug free family gatherings. You will also find a firepit, picnic table and weber grill outside. I consent to Fishers Resort collecting my details through this form.